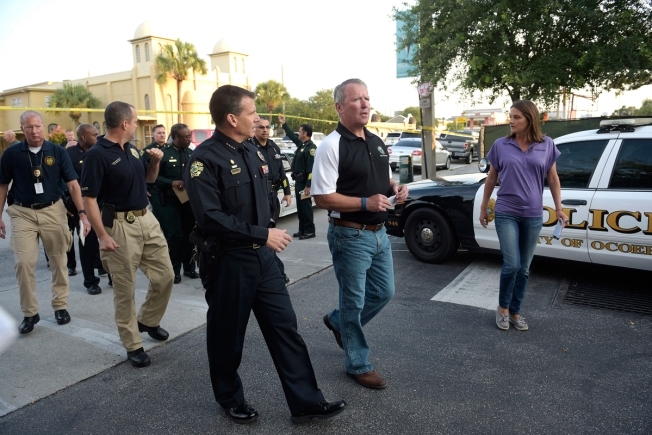 Orlando Mayor Buddy Dyer, second from right, and Orlando Police Chief John Mina arrive to a news conference after a fatal shooting at Pulse Orlando nightclub in Orlando, Florida, June 12, 2016. The Chicago Police Department offered resources to Orlando law enforcement Sunday following the deadly massacre at a popular gay nightclub in Florida. CPD extended its condolences and offered technical, manpower or resource assistance, Chicago police spokesman Anthony Guglielmi told NBC 5. "As we learn about another reprehensible act of gun violence, CPD extends our deepest condolences to those affected by the horrible tragedy in #Orlando," Chicago Police said in a statement on Facebook. "Our thoughts and support also go out to our partners at the FBI and Orlando Police for their great work managing such a tragic and difficult incident. Orlando's police chief publicly thanked Chicago Police during a press conference Sunday morning. 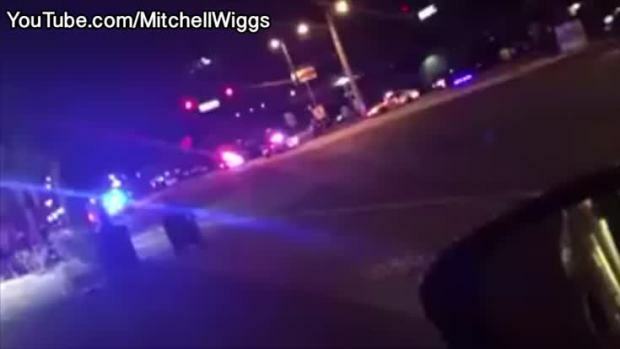 A gunman opened fire early Sunday morning at Pulse Orlando, a popular gay dance club, killing 50 people and leaving 53 more wounded, police said. The suspect was identified by several law enforcement sources as Omar Mateen, according to NBC News. The sources told NBC News Mateen was born in New York in 1986 and was listed as living in a residence in Port St. Lucie, about 125 miles south of Orlando. Police have not released the identities of the victims, as officials are still trying to notify next of kin. A hotline was set up for families of the victims: 407-246-4357. Chicago Mayor Rahm Emanuel in a statement called the shooting a "horrifying act of terrorism" that was "an attack on our most fundamental values as Americans." "On behalf of the City of Chicago, Amy and I send our deepest condolences to the friends and family members of those who were lost," Emanuel said. "June is a time when all Chicagoans and all Americans proudly celebrate the contributions of our LGBT community. This horrendous violence will only deepen our resolve to continue building a society that values everyone, regardless of who they love. The thoughts and prayers of Chicago will remain with the victims of this attack as they seek comfort and courage in the days ahead."